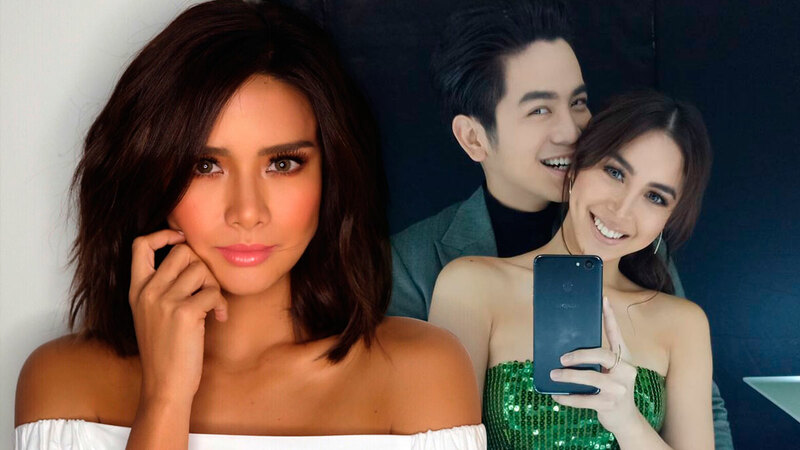 Did Erich Gonzales Just Confirm The Real Score Between JoshLia? "Oo, sila na. Ano ba 'yan?" Erich Gonzales blurted out in a segment called "2 Be Honest" on Boy Abunda's late night talk show Tonight with Boy Abunda. Also present in the interview was Erich's BFF Julia Barretto. While Erich jokingly made this revelation that got Julia shookt to the core, it was Julia's response to the question thrown at her that got the audience in a frenzy. Host Boy Abunda asked, "Bakit hindi mo pa sinasagot si Joshua?" Julia responded, "Unang una sa lahat, sino bang nagsabing hindi pa?" She added, "Bakit may pag-assume kayo agad?" "Pwede bang siya na lang ang sumagot?" she added referring to love team partner and suitor Joshua Garcia. Earlier this year, Joshua openly admitted to courting Julia—something that the 20-year-old actress' parents approve of. Joshua and Julia were first paired ni the Metro Manila Film Festival 2016 entry Vince & Kath & James. Their chemistry surprised moviegoers and critics that the movie went on to become one of the festival's biggest earners. And thus, the JoshLia love team was born! This was quickly followed by the rom-com Love You To The Stars And Back that tested and proved their box-office appeal. Joshua and Julia are currently starring in Unexpectedly Yours, a Graded A film directed by Cathy Garcia Molina which is headlined by veteran actors Sharon Cuneta and Robin Padilla.